The rapid gains made by India’s payment systems aren’t only changing how Indians transact, but are also spooking global giants as they watch their entrenched monopolies come under threat. 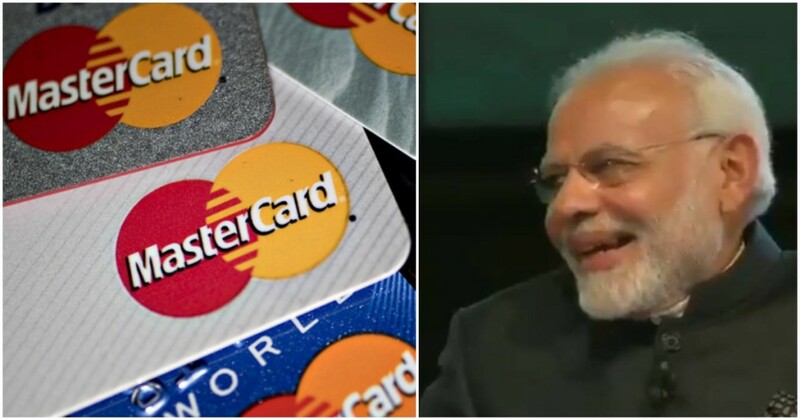 Mastercard has complained to the US government that Indian Prime Minister Narendra Modi was “using nationalism” to promote the use of a domestic payments network, Reuters reported. The complaint was made in June this year, and referred to RuPay, the payments system that was developed by the National Payments Council of India. RuPay competes directly with Mastercard and Visa, and now more than half of debit cards go through its network. For several decades, Mastercard and Visa had together held a monopoly over the payments business in India. It’s ironic that Mastercard would complain that RuPay was taking away its business, because that was express reason that it was created. The National Payments Corporation of India, which is owned by the RBI and a consortium of Indian banks, had realized that 90% of credit and debit card transactions in India were domestic, but were being served by two global companies in Mastercard and Visa. These companies charged high fees because they were the only ones with the proprietary technology — merchants in India can pay as much as 2.5% in fees during each transaction when payments are made through Mastercard and Visa cards. RuPay intended to create an alternative payments system that lowered fees, and created an India-owned payments network. The RuPay card was launched in 2012, and since then has made remarkable progress. It is now accepted at nearly all ATMs in the country, and at 97 percent of all PoS terminals. It’s quickly taken away market share from Mastercard and Visa — in 2017, it had overtaken Visa by the number of users, and as of 2018, has 56% of the share of the entire card market. Some of the growth of RuPay can be attributed to Prime Minster Modi, who’s previously championed its usage. In June, Modi had said that using the RuPay card was “a way of serving the nation”. He had gone on to assert that the money which is generated by RuPay Card transactions was used for the development of the country. This doesn’t appear to be controversial — the money generated by RuPay does stay in India, while the money generated by Visa and Mastercard helps in bulking up the balance sheets of these global giants. It’s also not unusual for the Prime Minister of India to promote a homegrown payments scheme that’s been initiated by the government; other constitutional officials have done it too — in 2014, the RuPay card had been formally dedicated to India by then-President Pranab Mukherjee. But Mastercard is clearly spooked by the gains in market share that RuPay has made over the last six years. After Coke and Pepsi, Mastercard and Visa form the most prominent duopoly in business, with these two companies together accounting for a lion’s share of global transactions. That duopoly is being threatened in India — now a domestic competitor, RuPay, has a bigger share than Mastercard and Visa combined. Mastercard and Visa can either try to compete fairly, or complain to the US government about how the Prime Minister is hurting their business by promoting a government-owned product. Mastercard, at the moment, clearly seems to be doing the latter.